Many of you have heard about resveratrol, this supposedly miraculous compound which is found in red wine. But how much do you really know about this topic? A while ago, there was a television program about the “French paradox”. The French diet is full of saturated fat and yet the risk of heart attack is much lower than the United States. The theory, at that time, was that the regular consumption of red wine somehow contributed to this disparity. There is now concrete evidence resveratrol does have a protective effect in the laboratory. It probably has the same effect in the body as well. Resveratrol is a natural compound produced by the red grape to protect itself from fungal infection. Therefore, the level of resveratrol will vary significantly, depending on how the wine is produced. Biodynamic or organic wines contain 30-40 mg of resveratrol in a standard bottle. Wines which are made non-biodynamically, and are exposed to pesticides, have a resveratrol content of only 2-3 mg per bottle. That is a huge difference. However, the amount of resveratrol used in studies has been around 1000mg! This is equivalent to a person drinking 30 bottles of biodynamically grown wine each day! One can take a daily supplement of resveratrol. It can’t hurt. However, we really do not know how much of synthetic resveratrol will be absorbed by the body. The critical question, which has not been answered yet, is the lowest level of resveratrol which will produce a protective effect in the body. 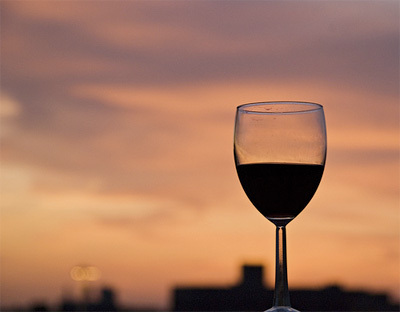 Does this mean you should skip that 3-4 ounce glass of wine, 3-4 times a week as recommended? Nonsense! Wine is a social drink. Therefore, make it a social event. A nice bottle of wine with a nice meal and good company will elevate your mood, reduce your stress and probably has some benefit from the resveratrol. The French paradox probably has less to do with resveratrol as it has with the more relaxed life-style of the French. Just remember to limit your intake and drink responsibly. If you live in a metropolitan area, finding Joly wines should not be too difficult. In Orange County, I recommend Hi-Time wine cellars (www.hitimewine.net) and Wine Exchange (www.winex.com).